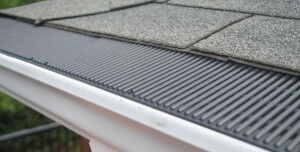 For a long lasting reliable performance, durability and easy installation vinyl gutter guard systems are used. Premium quality vinyl resin component is used in the vinyl gutter system with a urethane seal that guarantees leak free and a simple installation. The question is “how much are gutter guards useful?” Gutter guards usually protect houses by avoiding any type of water run-off. Gutter supply companies carry vinyl gutter system of various different styles to suit different homes. Houses which are equipped with copper rain gutters are likely to have stronger and more durable gutters than others. In many ways for the rain gutters, these are considered to be the ultimate material. Being stronger than aluminum, these are equipped with a withstanding effect to face all types of weather and have a beautiful finishing. Copper rain gutters stay unharmed even under the attack of sun’s harmful UV rays. These develop grey or greenish patina after some years giving it a beautiful appearance. Usually copper rain gutters tend to last for more than 75 years, say up to 100 years or even more. Solid in-gutter cover: this gutter cover works on a principle called the surface tension. From the nose of solid gutter cover the water flows towards the slotted channel. The gutter guard has the tendency to handle the heaviest rainfall water. It is resistant to external objects like leaves, insects, and pine needles and keeps them out of the gutter. The cover has less external object accumulation than the other guards. These objects easily get carried away by water or wind. Standard size of 4” 5” and 6” gutters are available which are easy to install. This in-gutter cover easily slides under shingles and gets hooked up on the gutters front edge. Its flex design can accommodate different roof pitches of different homes. Gutter screen guards: available in 3 ft sections, gutter screen guards each screen is equipped with a re-enforced edge which easily hooks up to the front of the gutter. The screen is undetectable virtually from the ground level and rests on its hangers. Gutter screen do not require any tool or fasteners. It is contractors’ favorite as it is easy to install as well as affordable. Such gutter screens are usually available in aluminum or in copper. Lock on gutter screen guard: priory looking at it from money point of view, lock on gutter screens is the strongest screen guard and is a total value for money. Made up of durable powdered screen, the powder coat resists it from collapsing under any debris like ice, snow or rain. Available in 5” and 6” K style gutters, it comes in 4ft sections. The screen is available in a single black color. Shingle gutter cover: completely covering the gutter, shingle gutter covers contains fine mesh that allows the water to flow in keeping all the other debris out. These cover or guards are textured and easily blend with shingles. These gutter covers are of contractor quality (superior and highly recommended) and are easy to install. Vast amount of rainfall water can be handled in these gutters supported by their premium quality guards. It is a type of hybrid gutter guard which is available in steel and copper in markets. These are suitable for any type of pitch or roof. Leaf out gutter guards: designed with combination of features like gutter guard and gutter leaf guard resistant, leaf out gutter guards allows rain water to flow down from a house roof and drain through the AFLS (Aluma-Flow Louver System). This leaf out gutter guard has been priory tested to hold up around 28.4 inches of water per hour. This leaf out gutter guard is available in a variety of color option for the customers to match house roof as well as gutters. There are a million options for customers to choose under different brand names and color option that best suits their homes. For the ones who wish to install plastic gutter guards need to be extra careful as compared to vinyl copper gutter guards which are of premium quality. While installing vinyl gutter guards one should check it is durable to hold enough water and avoid water run-off in houses. Rain gutter shields are good to minimize the maintenance.